Part of the revolutionary Crossley ID Guide series, this is the first raptor guide with lifelike scenes composed from multiple photographs – scenes that allow you to identify raptors just as the experts do. Experienced birders use the most easily observed and consistent characteristics – size, shape, behaviour, probability, and general color patterns. The book's 101 scenes – including thirty-five double-page layouts – provide a complete picture of how these features are all related. Even the effects of lighting and other real-world conditions are illustrated and explained. Detailed and succinct accounts from two of North America's foremost raptor experts, Jerry Liguori and Brian Sullivan, stress the key identification features. This complete picture allows everyone from beginner to expert to understand and enjoy what he or she sees in the field. The mystique of bird identification is eliminated, allowing even novice birders to identify raptors quickly and simply. Comprehensive and authoritative, The Crossley ID Guide: Raptors covers all thirty-four of North America's diurnal raptor species (all species except owls). Each species is featured in stunning color plates that show males and females, in a full spectrum of ages and color variants, depicted near and far, in flight and at rest, and from multiple angles, all caught in their typical habitats. There are also comparative, multispecies scenes and mystery photographs that allow readers to test their identification skills, along with answers and full explanations in the back of The Crossley ID Guide: Raptors. 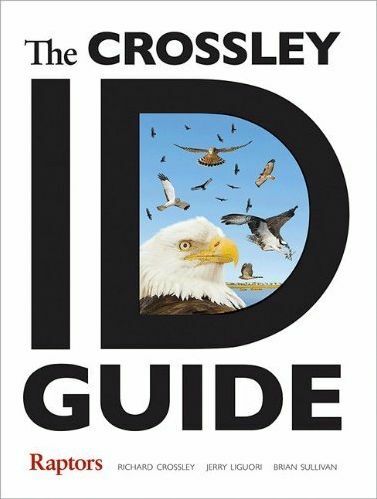 In addition, The Crossley ID Guide: Raptors features an introduction, and thirty-four color maps accompany the plates. Whether you are a novice or an expert, this one-of-a-kind guide will show you an entirely new way to look at these spectacular birds.